Put your new or remodeled studio on a firm foundation with an investment in Zebra Yoga Seamless Flooring®. Zebra Yoga Seamless Flooring® is a permanent flooring solution for the professional yoga studio. Zebra Yoga Seamless Flooring® offers studio owners ease of installation, portability, improved ascetics, safety, flexible sizing and durability. Seamless Wall-to-Wall Yoga Mat Solution No special sub-flooring is necessary. The flooring rolls can be adhered to any sealed floor surface. Zebra Yoga Seamless Flooring has a dense re-bond poly urethane, open cell foam bonded to an 18 ounce traditional tatami textured vinyl surface ideal for all types of Yoga. This construction combines an easy to clean, water proof non-slip resistant surface providing sure footing for your students’ optimum safety when holding difficult positions or landing out of inversions and joint sensitive poses. Zebra Yoga Seamless Flooring provides shock- absorbing cushion for less stress on the body and less risk of injury. Perfect for High Heat Yoga Applications The open cell construction does not expand or contract regardless of temperature. It won’t buckle in high temperature or high humidity environments. The tatami textured vinyl surface with heat sealed corners does not absorb water nor stay wet like carpet, and is specially designed to allow for moisture evaporation, preventing fungi, mildew and bacteria growth. Zebra Yoga Seamless Flooring assist in retaining heat and humidity in your studio. With Zebra Yoga Seamless Flooring your cleaning and maintenance is made simpler. Rolls can be installed over any moisture sealed flooring. 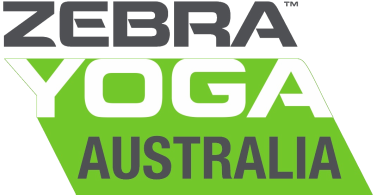 To achieve a professional result Zebra recommends contacting a professional flooring installer for the installation of Yoga Safety Flooring in rolls. For additional installation instructions Contact Us. - Cleans easily and no sweaty Carpet smell. 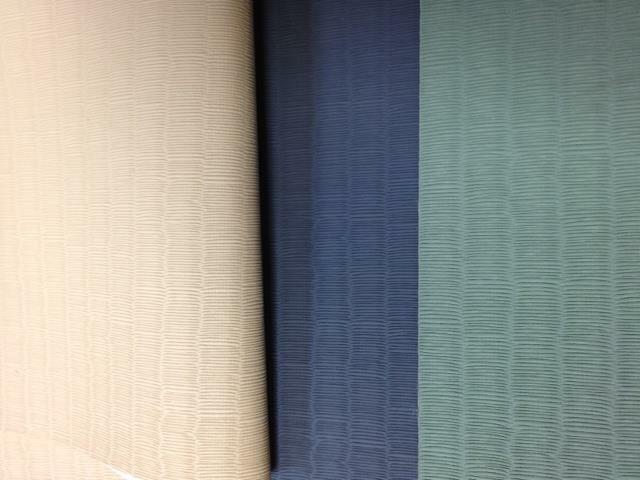 - Traditional Japanese Tatami style surface. - Superior footing and safety. - Anti-skid bottom for stability. - Less expensive alternative to Hard Wood floor. - Visit the photo gallery.